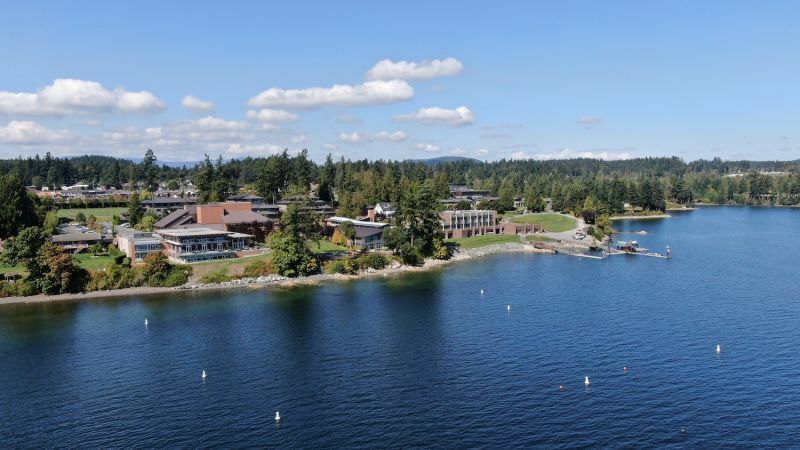 Come spend a week or two at Brentwood's Summer Camps at our stunning waterfront campus, on beautiful Vancouver Island. These camps are focused on providing campers with a great experience with professional leaders, in a safe and fun environment. Choose from academic, art or athletic camps including: Debate, Academics, Soccer, Musical Theatre and more. Contact us to register! There’s a lot that’s remarkable about Brentwood College beyond the obvious, which is the beauty of the campus, the stellar resources, and peaceful setting. In the 1990s, it became one of the first schools in the country to make a substantial commitment to sustainable energy, building a performing arts centre that includes a geothermal loop for heating and cooling. There’s also a salmon run along the school boundary. Brentwood is noted for both its academics and athletics, and all of the schools strengths come to bear on its summer programs. In many ways, and throughout the year, the offering at Brentwood is arguably second to none. Interested in Brentwood College School Summer Camps?